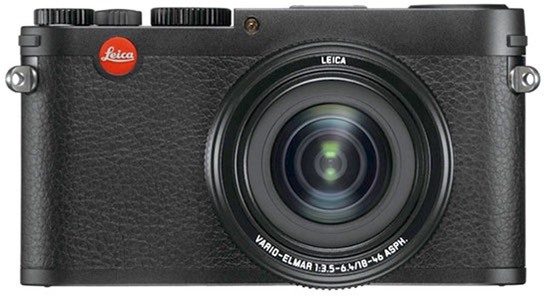 Leica today announced the camera they've been teasing as the Mini M: the Leica X Vario Type 107. Yikes, what a name. Mini M was much more evocative, wasn't it? So right off the bat the first disappointment comes with the name, of all things. As we all expected it wasn't an "M" (which implies rangefinder), but an "X" (which implies large sensor compact). As a large sensor compact (APS sized, 16mp), the new X Vario immediately joins the rest of the rush (see my previous article), but as I noted there, with large sensor compacts generally the way you choose them is with the lens. And the X Vario's lens leaves a few things to be desired. At 28-70mm f/3.5-6.4 equivalent, this is fairly constrained focal range with very slow apertures. Considering that Fujifilm managed f/2.8-4 with an APS lens that has more focal range (28-82mm), Leica didn't hit the ball into the outfield, let alone out of the park. Another problem is that this lens sticks out quite a bit and doesn't collapse when not in use. That last bit basically condemns the X Vario as a largish camera that pretty much is neckstrap or bag only, and thus competing with mirrorless cameras and DSLRs. When put into the realm of competitors, it doesn't fare so well, especially at the US$2850 price. At 1 pound, 7 ounces, it's above many mirrorless entries in heft, as well. Other details you might want to know: 1/2000 maximum shutter (and no built-in ND filter), 3" 920k dot LCD, HD video ability, external EVF option, 360 shot battery life, 5 fps with an 8-frame buffer, Adobe Lightroom included, and about 5 x 2.9 x 3.7" (133 x 73 x 95mm) weighing in at 24 ounces (680g) with battery. So while Leica may feel like they've correctly filled in a gap in their lineup, from a purely unbiased enthusiast shooter basis, there are a lot of 16mp+ large sensor choices in the mirrorless realm that simply should equal or outperform the Leica, and cost far less in doing so. Which brings us back to the old Leica standby: you buy it for the name recognition ("I own a Leica."). Makes me want to create little paste on stickers that you can put over the prism name display of your DSLR that says "My other camera's a Leica." That would save you a lot of money. Now, I'm prejudging a bit here (based upon my experience with previous Leica X models). It very well could be that there is some secret, magical, previously unknown sauce in the mix in the X Vario that makes up for its lens' deficiencies. Or maybe you get a free one-ounce Gold Bar with the camera. I know there will be some that proclaim that the image quality of the Leica X Vario is what justifies the high price. Thing is, we've got a lot of cameras, both compact and mirrorless, that get into very high levels of image quality without the Leica red dot pricing. Plus at about the same price I'll wager that a Sony RX1 will outshoot the X Vario by a wide margin at 35mm, f/4.5. What I will say is that the X Vario retains the X's pretty menu-less shooting ability. Aperture and Shutter speed dials up top, plus dedicated WB and ISO buttons. Exposure Compensation is reached via one of the Direction pad "buttons." What more do you need while shooting? Personally, I applaud not changing things that aren't broken. Imagine any of the following changes to the X Vario camera: interchangeable lenses, faster lens, collapsing lens on power down, and built-in finder. Yeah, any of those things would make the X Vario much more interesting. None of those things are rocket science. Which makes me wonder if the German engineers have been celebrating Octoberfest a bit too long and not thinking clearly. When you're designing something, one question you have to answer is "why would anyone buy this over another product in the category?" The answer here, it seems, is "because it says Leica on the front." But I'd dispute whether that actually works all that well. Indeed, Leica themselves long ago started down the road to custom, special order cameras just to stay in business (and they still do that). What makes me think we're going to see custom versions of the X Vario? Rich Corinthian red leather versions? Shiny polished brass with custom engravings versions? And don't let Hasselblad near it with their Bejeweling gear. 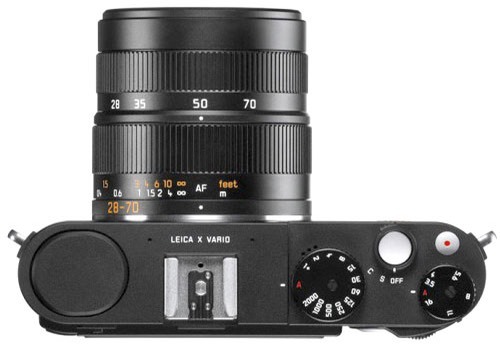 Now I suspect that Leica's thinking was this: we need to find ways to get people who can't afford an M to buy a Leica, and we've got some big gaps between those Panasonic cameras we re-badge and the M, and the X Vario fills one of those gaps. Not very inspired product management, in my opinion. Again, the question is "why would I buy this over something else?" And my answer at the moment is: I wouldn't. We'll see for sure when the product ships and we can review it.